Welcome to The Littleton Group, an experienced & dedicated group of real estate specialists in Clarksville, Tennessee serving all of your Clarksville – Ft. Campbell real estate needs! Real Estate is our full time job. We know the Clarksville Real Estate market and we know the community. 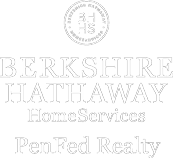 Let us put our experience and expertise to work for you as you search for that special home in Clarksville and the surrounding areas. We specialize in the Sango area of Clarksville but are familiar with all the many other great locations in Montgomery County. We are always delighted to work with the many military families relocating to Ft. Campbell whether they choose to locate near Post, in St. Bethlehem, Sango, or out in the country. No two families’ needs are identical. Some prefer new construction; others want a more established neighborhood. Some prefer homes with basements while some want no steps at all. Whether it’s luxury homes, investment property, waterfront homes, rural property, building lots, resale homes, a place for horses, commercial property or anything else in the Clarksville real estate market, we can represent you with unequaled service. The Littleton Group has over 3,000 closed transactions in a variety of categories. Our group has a variety of backgrounds including education, counseling, accounting, the military and banking. We understand your needs and can provide real estate guidance and insight to help you match your housing priorities to the best available properties. We can explain financing options and help you secure the best loan rates available. At The Littleton Group you can expect sound advice and we gladly arrange personal contacts with some of the most reputable lenders in our area. Clarksville, the 5th largest city in Tennessee, is a wonderful place to live, work, and raise a family. It is also rated as one of the best retirement areas in the U.S. with fantastic outdoor recreation opportunities (including world-class fishing), a quality university with graduate-post graduate programs, and an expanding industrial base; it’s easy to see why Clarksville continues to be one of the fastest growing cities in the entire Southeast.